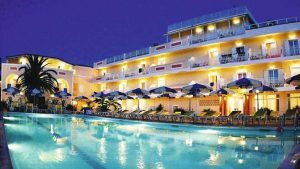 Ionis Art Hotel is one of the main hotels on the Laganas strip in Zante. It's also one of the best! Here's our review list! See the Ionis Art Hotel Zante review for 18-30 year olds staying in Laganas! Ionis Art hotel is right on the main strip in Zante. A 10 second walk from clubs and bars and 2 minutes from the beach! Perfect! Zeros, Rescue, Cocktails & Dreams form the golden triangle in Zante and Ionis is a 2-3 minute walk from them all! Zante's no.1 sell out event's office is located just a couple of minutes walk away - you'll see the giant queues every Wednesday. Get tickets before though as it sells out weeks in advance! 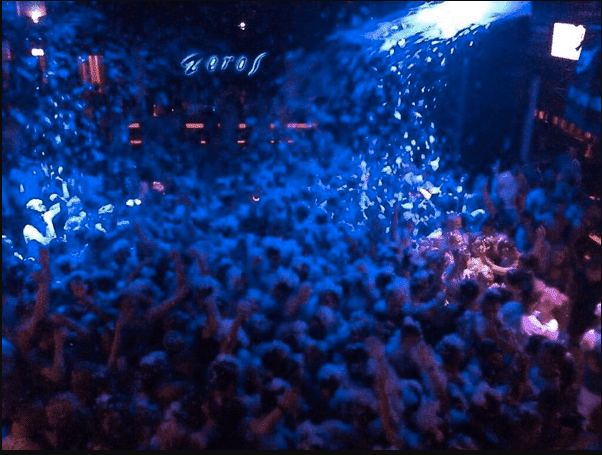 The Foam Party at Zeros is just a 3 min walk up the strip! Easy to get home at 5am when you're soaked! There was only 6 of these all season in 2018 but there's 10 in 2019! Ionis Art Hotel is a 2-3 minute walk away from the venue! You're in luck! Give me my Free A-Z & Events & Hotel Guide for Zante 2018! The staff at Ionis Art are great. They'll be on hand at reception if you have any questions. A damage deposit of 30 euros is taken on arrival but returned when you leave. But well worth it if you have the budget! You're right on the strip in quality rooms and have a great pool to chill out at during the morning & afternoon when you're hungover! Events packages & VIP nights are all here. Don't miss out! Choosing your hotel in Zante can be hard! Do you want to be close to the strip? On the strip? Way off the strip? Well Ionis is right on it, so you'll save money on taxis but it will be noisy at night - ask for a back room if your'e worried! The pool is big and you'll have a sunbed or lilo to float on while sipping a cocktail during the day! What else can you ask for!